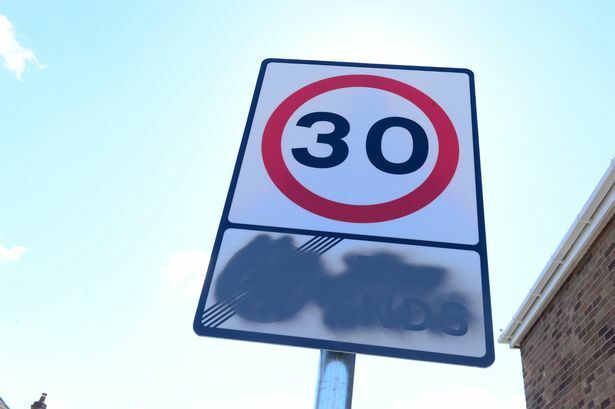 North East Lincolnshire Council was forced to spray paint over more than 50 new speed limit signs in a Grimsby neighbourhood after putting the signs up too early. The new 20mph signs were erected in the residential neighbourhood last week, despite a public meeting on the speeds in the area not being held until April 17th. The signs were added to roads and street signage by the council’s working partner, Engie, and after being forced to deface their own signage as the signs were not enforcable by law, Engie issued an apology for the costly decision. A spokesman said: "Engie would like to apologise to residents for the errors we have made on the Littlefield Lane road safety improvement scheme and any inconvenience caused. "Costs for any remedial works required will be met by Engie." And it seems that the works may be well ahead of schedule, though the speed restrictions could technically come into force after the meeting on April 17th, the reality is that a statutory consultation period might not end until after the elections on May 2nd. A spokesman for North East Lincolnshire Council, which currently has no overall political control, said: "Residents and visitors are able to still park on street, in accordance with the waiting restrictions present. "Speed cameras were considered, however they would not be suitable at this location."